If your electronic product design fails EMC compliance testing for its target market, that product can’t be sold. That’s why EMC analysis is such an important step. In this article, Craig shows how implementing EMC analysis during the design phase provides an opportunity to avoid failing EMC compliance testing after fabrication. Electromagnetic Compatibility (EMC) is generally defined as the ability of a product to function in its environment without introducing electromagnetic disturbance. EMC compliance is a necessary condition for releasing products to market. Simply stated, if a product does not pass EMC compliance testing for the target market, the product cannot be sold. Regulatory bodies around the world define limits on the radiated and conducted emissions that a device is allowed to produce. Automotive and aerospace manufacturers can set even stricter standards for their suppliers. 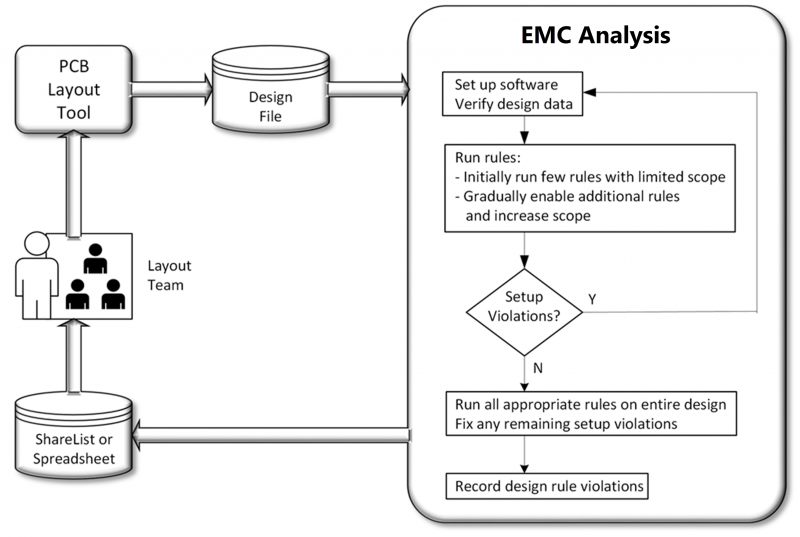 Design teams are well aware of the importance of ensuring their product is EMC compliant. All that said, many do not attempt to perform EMC analysis during design. There is a perception that EMC analysis during PCB layout can be a time-consuming task that is challenging to set up and properly configure, with difficult-to-interpret results. Historically, the focus of analysis during design has been on Signal Integrity (SI) and Power Integrity (PI). Manual EMC “analysis” typically is performed post-fabrication, based on the results of testing the actual product. What is often overlooked is that implementing EMC analysis during the design phase provides an opportunity to avoid failing EMC compliance testing after fabrication. The current generation of ECAD tools offers EMC analysis functionality that is easy to use, with well-documented rule checks that often include an explanation for each principle and advice on how to address issues. 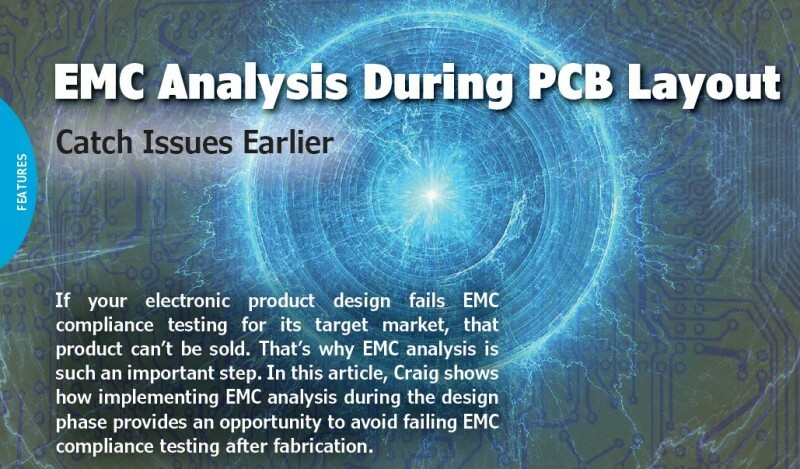 Implementing EMC analysis at appropriate points during PCB layout, prior to fabrication, can mitigate the need for redesign(s) that affect both product development cost and overall time to market (Figure 1). EMC can be a confusing topic, especially for new engineers and designers or those not well versed in the subject matter. Furthermore, there is often confusion as to the difference between electromagnetic compatibility (EMC) and electromagnetic interference (EMI). Although this article is not intended to be an in-depth tutorial on EMC and EMI theory, a quick review of the definitions is appropriate. 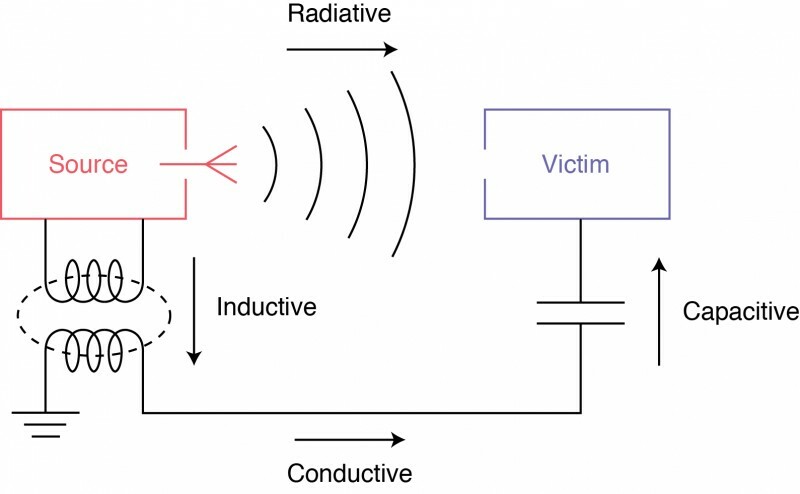 EMI is generally defined as disturbance that affects an electrical circuit, due to either electromagnetic induction or electromagnetic radiation. To further simplify the two definitions: EMC is how vulnerable the product is to the environment, and EMI is what the product introduces into the environment (Figure 2). The complexity of the topic contributes to the perception that implementing EMC analysis during PCB layout can be a time-consuming task that is challenging to set up and properly configure, with results that are difficult to interpret. The alternative, however, foregoing automated in-design analysis and waiting to test the actual product post-fabrication, has the potential to be significantly more time consuming and costly. Although EMC test labs are not required to provide the average EMC testing pass rate, several studies suggest that the first time pass rate is approximately 50%. Furthermore, EMC compliance failure has been cited as the second cause for redesigns in the automotive industry. Given that an EMC failure will require one or more redesigns that affect both product development costs and overall time to market, performing EMC analysis during PCB layout (designing for EMC compliance) is essential. 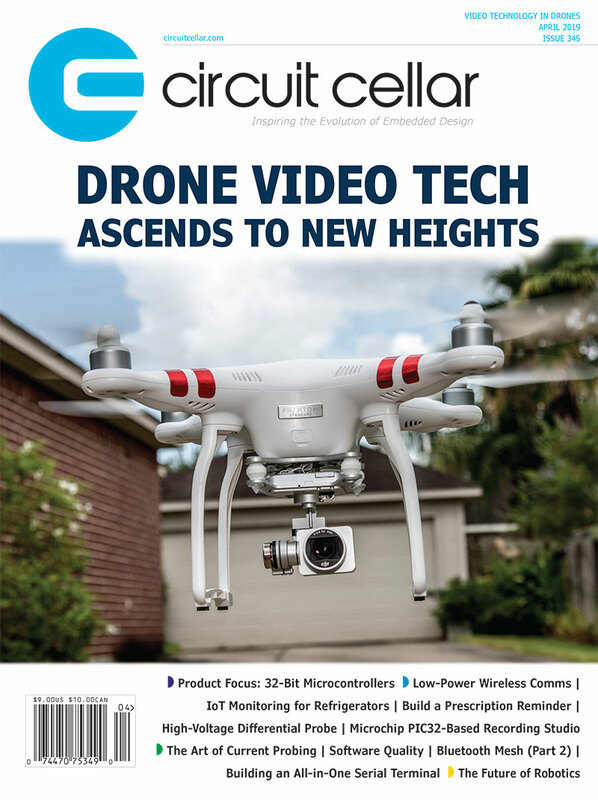 This entry was posted in Archive Article, CC Blog and tagged embedded boards, EMC, EMI, PCB, PCB design tools, PCB layout tools by Circuit Cellar Staff.